Access: from Pedeserva country hamlet, turn left and follow the road for about 1 km; after parking the eventual car, take on the right (trail marker) a short uphill path leading to the church. Situated at about 4 km from Belluno town center, the site is also a lap of the Park thematic itinerary "Piedmont Churches". Environmental context – Description of the site: overhanging the inhabited settlements of the eastern section of Val Belluna, on the slopes of Mt. Serva, the church lies on a small hillock at about 510m asl, outside the Park perimeter. The building enjoys an excellent landscape position and great visibility in the valley of Piave, partly endangered by the recent growth of the wood towards the valley. From the site, you can enjoy a wonderful panorama. Building period: before the year 1000; the first documents date back to 1578. Architectural features: oratory with a Latin cross plan, with ring crypt and raised apse. The 16th century sacristy was added in the south to the original structure dating back to the early Middle Ages. The oratory preserves precious artistic evidences. The church dates back to the Middle Ages and preserves the Latin cross plan, with crypt and raised apse and a narrow corridor under the presbytery. The sacristy, whose access is from the southern transept, has barrel vaults and lunette. The roof is characterized by a complex wooden structure and mantle in calcareous stone slabs. Originally, it included three altars, dedicated respectively to San Daniele Profeta (to whom the church was consecrated), the main altar, and to the Saints Rocco and Sebastiano and to S. Liberale, the minor altars. Inside, the church is enriched with sculptures and paintings dating back to various historical periods, including: a medieval sarcophagus and fragments of pluteus, traces of a 15th century painting cycle, 16th century decorations and frescoes, a 17th century decorated wooden altar. In the past, near the church there was a small cemetery. Outside, the building is plastered; in the points where the plaster came off, it is possible to see the wall structure. The area is characterized by a double terracing supported by a dry-stone wall, in the middle of which there is a funerary stele. 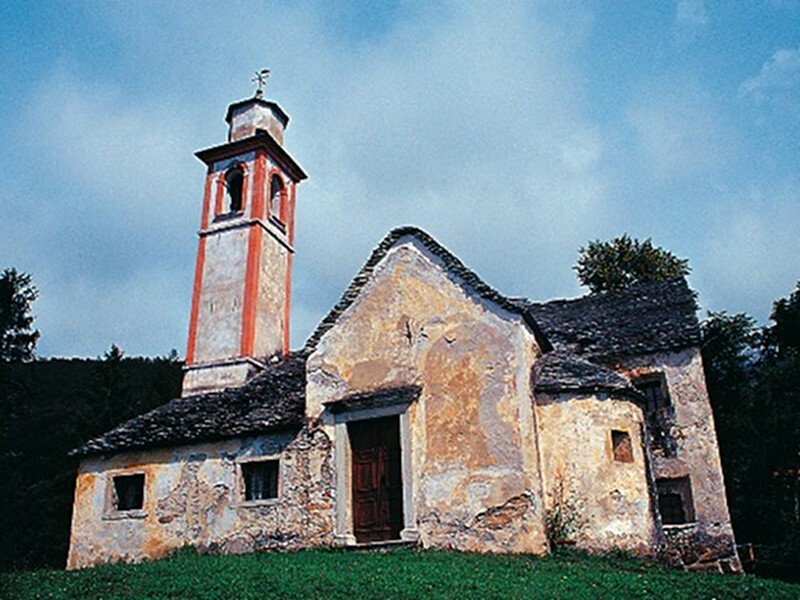 The church, belonging to Sargnano parish is still occasionally used for religious ceremonies. The building is in a rather good state of conservation. San Liberale di Pedeserva Church represents the "Lap no. 12" of the thematic itinerary of the Piedmont Churches. This is a long itinerary (110 km) developing between the Park and the pre-Park area, leaving from Croce d'Aune Pass (Pedavena-Sovramonte) and ending near Polpèt (Ponte nelle Alpi). It touches the several characteristic churches facing Val Belluna from the southern spurs of the Park mountains. The itinerary, recently prepared, has a great historical, architectural, and environmental interest and is well-marked. Moreover, near every church there is a descriptive panel. Bortolas L., Conte T. - Chiesette pedemontane. Santi guerrieri e Santi guaritori nelle Dolomiti Bellunesi - Itinerari nel Parco Nazionale Dolomiti Bellunesi, 3 - Cierre Edizioni, Caselle di Sommacampagna (Vr) 1999.